When you are looking for professional warehouse rental space and distribution services in Laguna Hills, you need to call the experts at All-Ways Moving & Storage. Our company and team truly cares about helping our customers. We provide collaborative services with your business to assist with your product shipment and storage. We know that when you own a business dealing in goods, space may become an issue as you grow. Don’t worry about having to search for “warehouse space for rent near me” with our distribution service. Don’t overpay a commercial distributor when you can keep competitive rates by calling All-Ways Moving & Storage. Discuss your business needs with our experienced support staff and call our office today! One of the biggest challenges for businesses today is obtaining enough space for storage of quality goods and efficient distribution. It doesn’t have to be difficult; you just need to hire All-Ways Moving & Storage for your warehouse and distribution service in Laguna Hills. We have the knowledge and expertise to store your items and distribute them carefully and accurately. 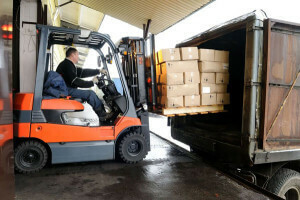 All our staff is extensively trained in commercial distribution and proper storage techniques. Our facilities are outfitted with cutting-edge security equipment to ensure your inventory is safe at all times. We invite you to come visit our facility and check it out for yourself. Don’t hesitate. Increase your overall efficiency by hiring a storage and distribution professional! For more information about our warehouse and distribution service in Laguna Hills, call All-Ways Moving & Storage. Dial (949) 768-0220 to talk to one of our storage experts.